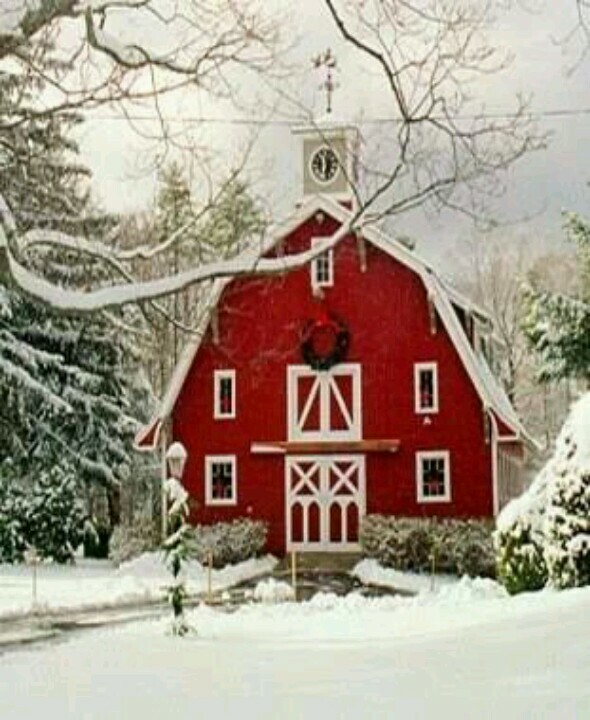 I focused on the red and white of the barn, and the wreath. I cut PTI's Rustic Wreath out twice and bent the leaves of the top wreath, adding Lime Stickles to tne edges for some sparkle. I used white block letters and a white card base with a red panel to capture the feeling of the red barn with all the white trim. 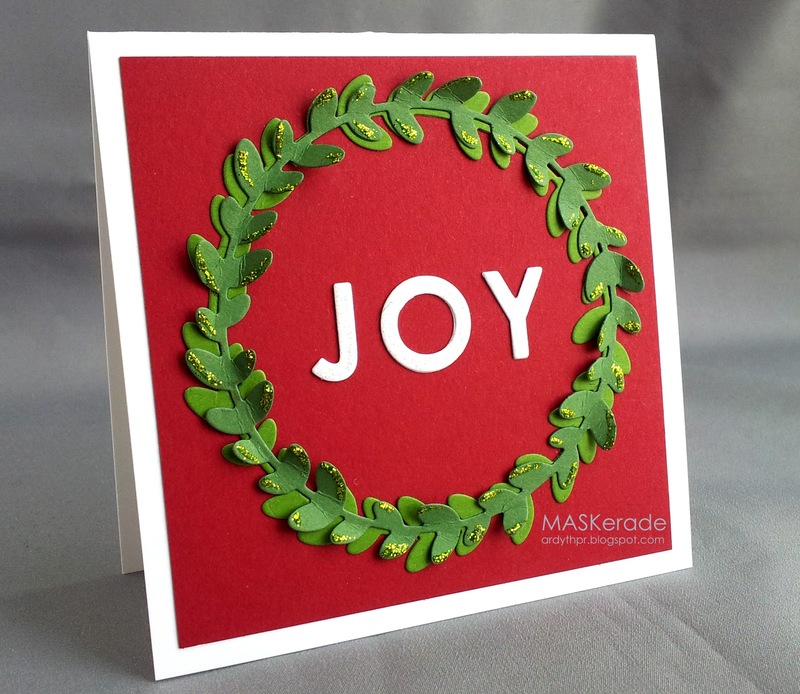 Curling the top layer of leaves really gives beautiful depth to your card - especially pretty with the Stickles! Love the dimension of your wreath, Ardyth...the layering of colors, the bending, the glitter...all subtle, but they add so much! Gorgeous card! So happy to be designing with you and the other gals this year!!! All my Christmas stuff has gone into the attic, so I will be doing my annual last minute panic! Love how the wreath frames the Joy, and of course the Stickles! Love this card, Ardyth. It is so classic with it's colors, but so fresh and modern in design. I'm loving that doubled Rustic Wreath. Another wonderful graphic interpretation! Gorgeous photo, and a nice graphic take on it! Hopefully I can finish whipping my craft disaster area into shape this weekend, in time to dive back in to crafting this week. Wow...now this is one stunning card. Love that bright red background! Love the addition of the Stickles. So simple but it really takes your card to the next level! I love your gorgeous wreath Ardyth...and I'm so happy to be on this team with you! [sigh] the single shade of green is just so pure and natural. Love the curled ends.